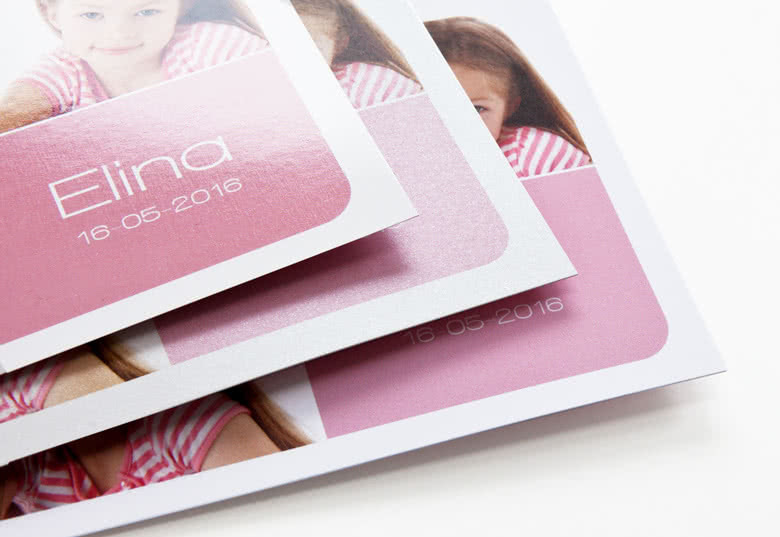 There are many advantages to using placement cards when organising a reception or fancy do. In addition to creating the conditions for your guests to have the most enjoyable experience, it's a way to make them feel at home and taken care of. 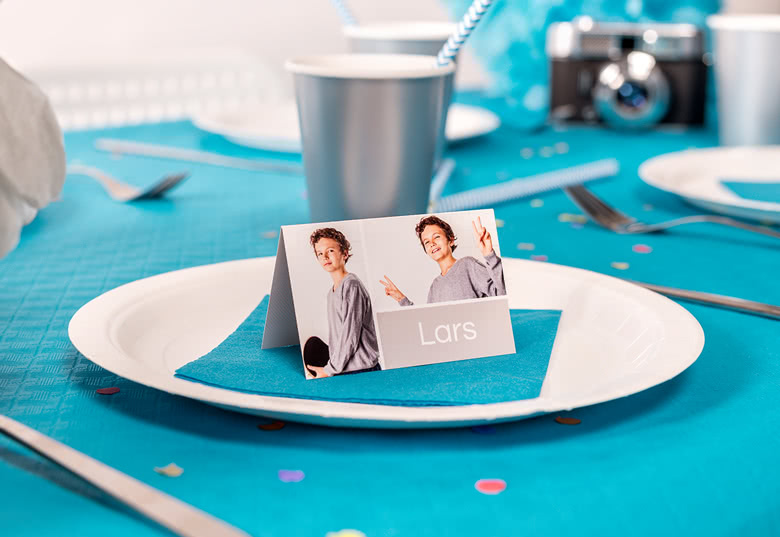 Create your own unique place cards with personal photos at smartphoto and enjoy an event with a beautiful layout and great atmosphere. Having a thoughtful seating arrangement is important for all the guests to feel included at the party or dinner. 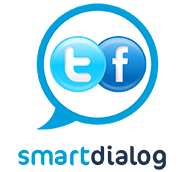 Placing an old group of friends all at one table can contribute to someone else feeling left out if they are not familiar with all their inside jokes and shared memories. Go on your gut feeling when planning how your guests are going to sit, but one tip is to place people with similar interests in close proximity. Plan for your guests to have a nice evening, and in the best case they might even make a new friend or find a new partner if you place them right. When choosing a place card, you should take into account the theme and style of the party, so that the laid table will be consistent and look its best. Colourful cards with fun designs are great for children's parties, while dark and elegant cards are more suitable for a New Year's Eve dinner. 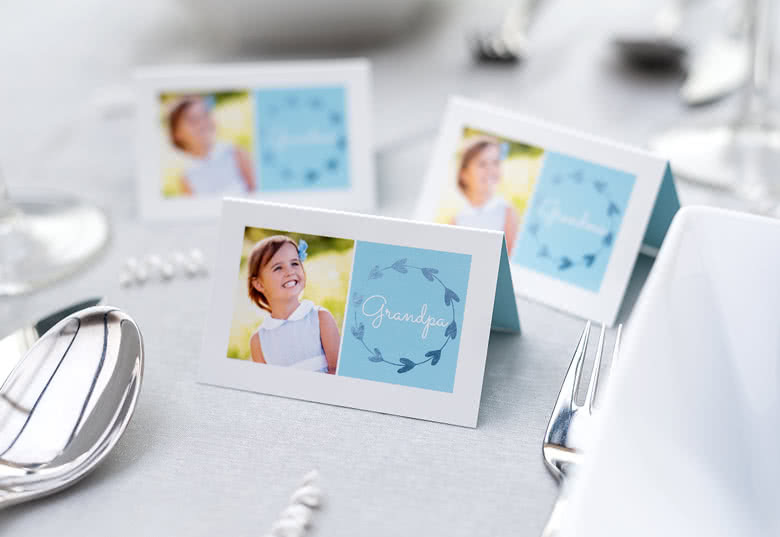 At smartphoto, you can choose from a wide range of different place cards and customise images, colours and designs to make sure that the final result matches your event. 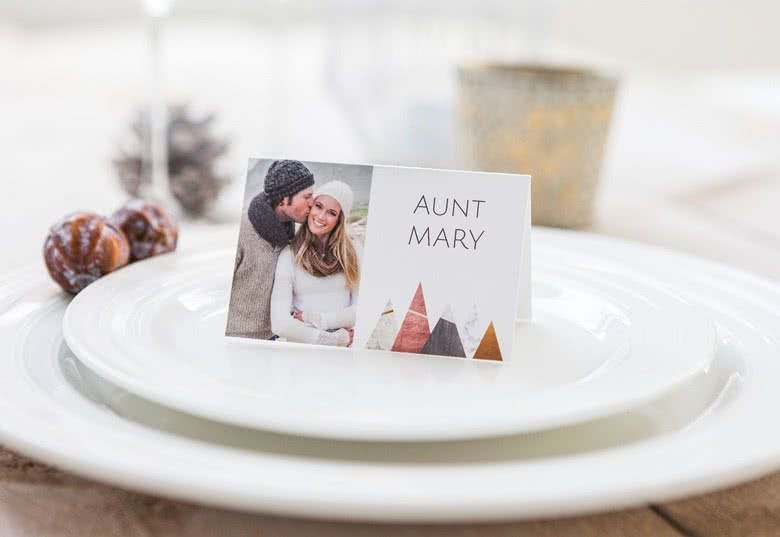 You can give your card an extra helping of imagination by selecting an option after creation of your personalised Place Cards. 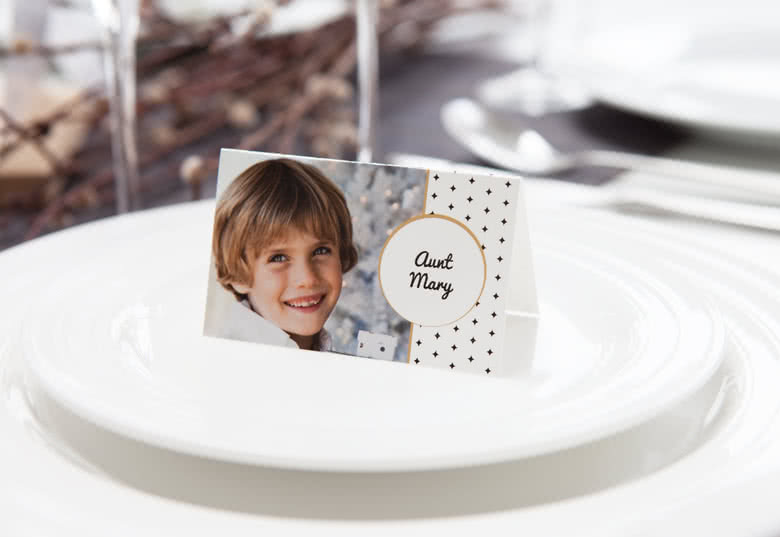 Design your own personalised place cards at smartphoto! 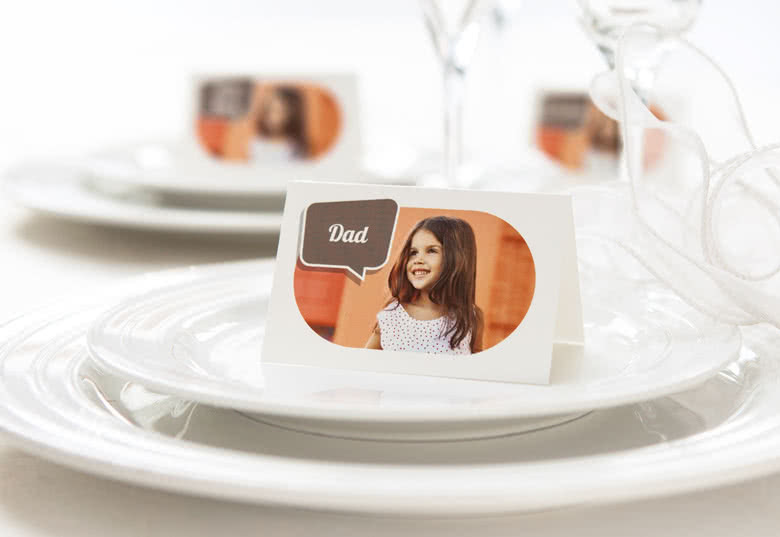 It has never been easier to create personalised place cards. Choose a design as a base, and then choose how much of its original appearance you want to change. 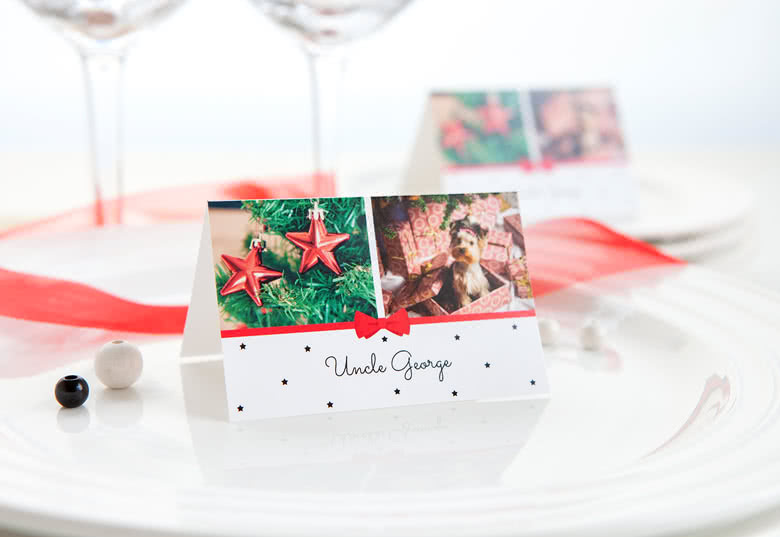 Do you want place cards with or without photos? Should the colours be the same shade as the tablecloth? 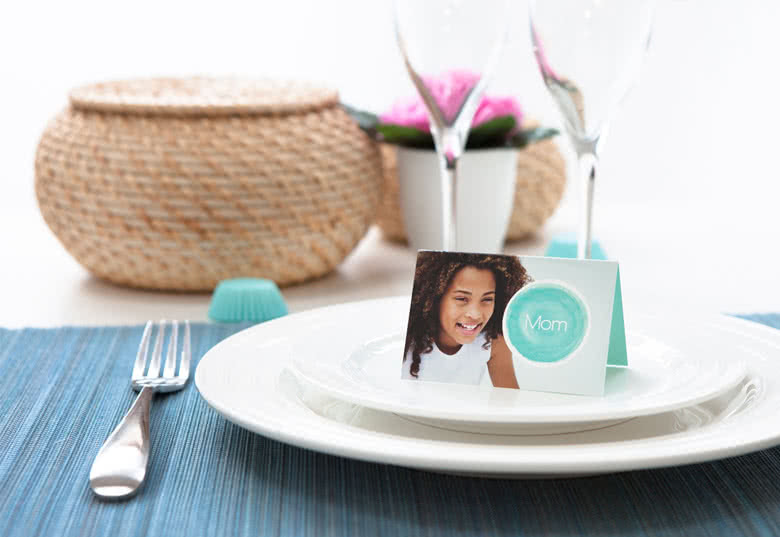 Do you want the place cards to have a personal text? No matter what changes you want to make, it's a simple process that you can do directly in our webshop. If you need time to think about different options, you can have several versions saved in the shopping cart until you decide. 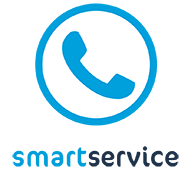 If you have any questions or need advice, you are welcome to contact our customer service, which is open on weekdays. We want you to be 100% satisfied with the result, so do not hesitate to get in touch.